When a show gets to 4 seasons then it can make two decisions, continue with the same style or try to build on what has gone before. Bob’s Burgers won’t ever stray too far from the family running a burger restaurant but it what it does do is develop larger stories, with bigger twists, better turns and starting to develop the wider cast of characters. 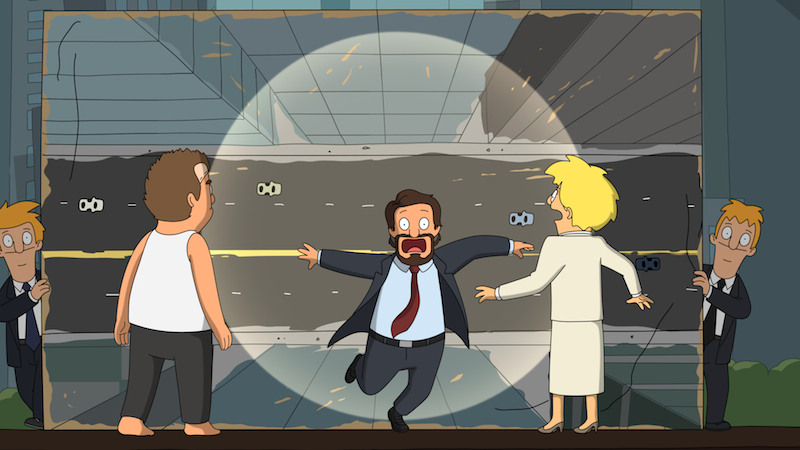 This starts from the beginning of the season when the show stages a musical-battle between Gene’s “Die Hard the musical” and supporting character Coutrney’s “Working Girl musical.” It is this kind of extravagant, original and crazy plots which keep Bob’s Burgers so watchable after 5 seasons. It is also in the way the characters have built upon their recognisable tropes. H Jon Benjamin’s Bob is as neurotic, pig-headed and hilarious as ever, from trying to get regular customer Teddy fit to taking on a E-Bay seller in a toy helicopter battle. The rest of the family match these crazy antics, with John Robert’s Linda fighting crazy turkeys, Dan Mintz Tina falling in love with a ghost and Kristen Schaal’s Louise becoming a go-karting champion. As with previous seasons, Schaal’s youngest sibling of the family steals most of the episodes she is in and is still the coolest character in the series. There is competition for that too. Season 5 sees a return of many of the usual supporting characters. It comes to a head in a perfect season-closer, a Hunger Games style tournament involving water balloons and rising rent. It is an effective way to demonstrate how far the series has come in 5 seasons and how clever the writing can still be, especially when 5 seasons usually sees the end of the quality of a show. 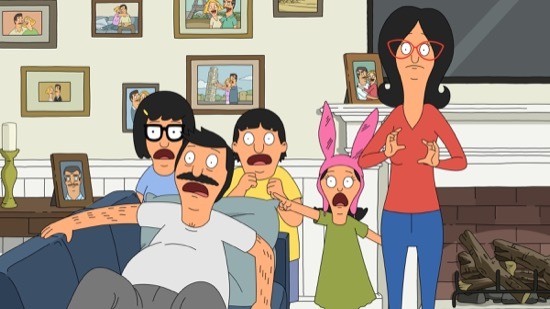 Overall, Season 5 sees Bob’s Burgers continuing with top quality episodes, great stories and very funny scenes. The stories are becoming bigger, the characters more varied and the show seems to be gaining in ambition, even if the basic premise and set-up hasn’t changed at all. Best Episode – The Runway Club: A clever take on The Breakfast Club that mixes movie parody, trash and fashion. Should there be another season? – Definitely. This is quickly becoming one of the best animated shows on TV.